Chocolate Town, USA, lived up to its name. 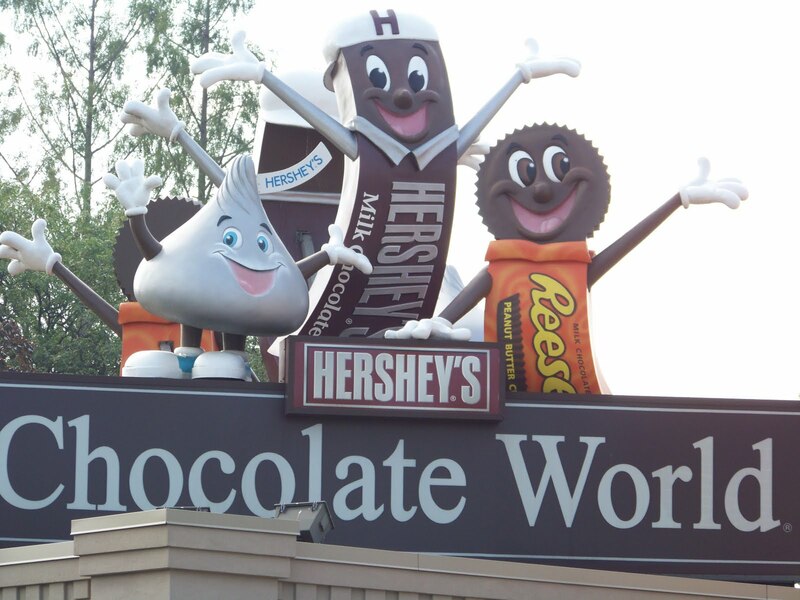 We spent the entire day enjoying the smells, tastes and excitement that is Hershey’s Chocolate World. Our adventure began on the Hershey Trolley. 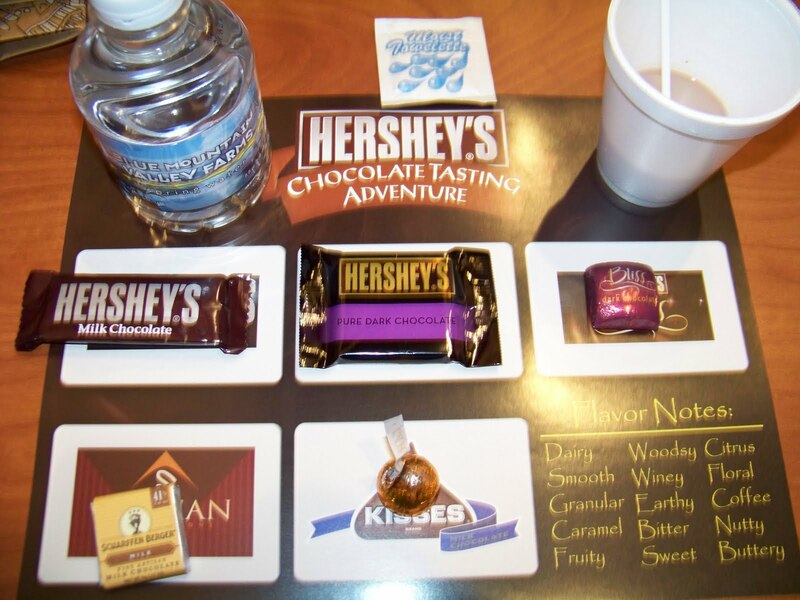 We got a tour of the main points in town including the Hershey Plant (the largest chocolate plant in the world), Hershey homestead and Milton Hershey’s mansion, The Milton Hershey School, and Hershey Park. During the tour, we were taught about all of the sites by wonderful tour guides, along with many “special guests” that popped in along the way. We also sang songs…well, some of us sang and some of us just mouthed the words. It was a very enjoyable way to get acquainted with all that the town has to offer. 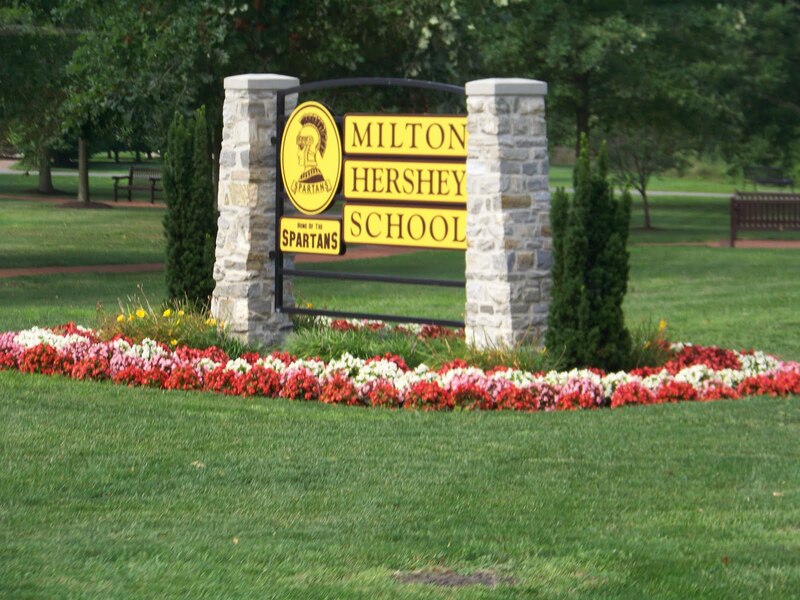 One of the most interesting sites we saw was the Milton Hershey School. It is a private, residential school. It was originally started for orphaned boys by Milton Hershey and his wife. They were unable to have children of their own, so they built a school for children who did not have families. They chose only boys because in most orphanages they visited, there were very few girls. The girls would usually be taken in by relatives because they were helpful in the home. The boys were left behind. After Hershey’s wife, Catherine, died (just a couple of years after the school opened), Hershey signed over all of his stock in the Hershey company to the school so it would be financially set for the future. Currently, the school has an enrollment of 1800 students (now gender-balanced). The students come from economically disadvantaged families and while they attend, they learn academics and a trade and all of their needs (food, shelter, clothing, dental, medical) are met. When they graduate, each student receives $100 and can earn up to $88,000 in scholarships for college. I was so impressed to learn about the philanthropy of Milton Hershey. When we returned to Chocolate World, we learned how to taste chocolate. With all the chocolate I’ve eaten in my life, you’d think I would know how to taste it. I guess not. First you listen to it, then you sniff it, then you put it onto your tongue and let it melt. I enjoyed the first chocolate – good old-fashioned milk chocolate. The next few were not as enjoyable. They were all dark. I don’t care for dark chocolate much, no matter how healthy I’m told it is. Following the tasting, we watched a 3D movie about… chocolate. What else? The movie was fun, not only because of the 3D effects, but because of the rain that fell, the surprises under the seats, and the bubbles. Van went nuts for the bubbles. After the movie, we grabbed some lunch. 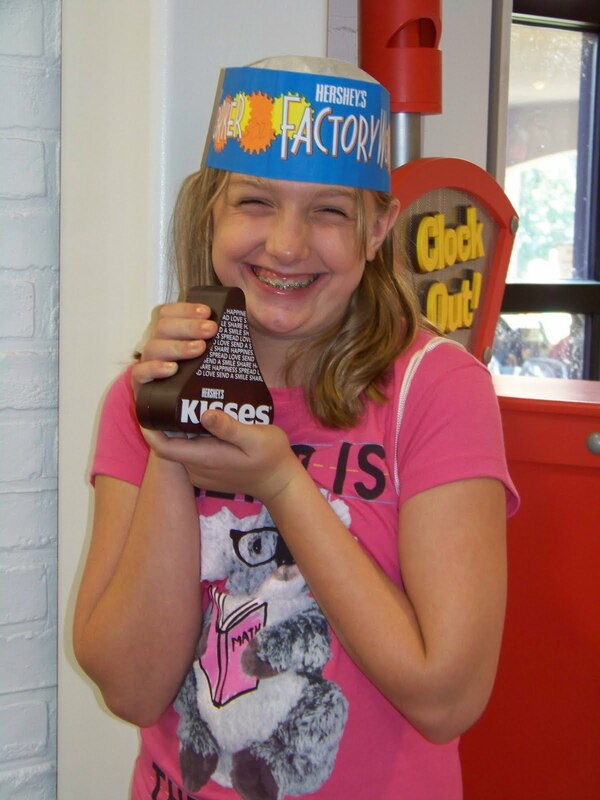 The afternoon was filled with making our own chocolate bar, packaging kisses, taking the Hershey invention tour, and shopping. Other than not being stroller-friendly (warning to parents of infants and toddlers), Chocolate World was a fantastic place for the whole family. We all enjoyed it very much. I’m sure that was, in part, because after every activity we got free chocolate. Free chocolate makes everyone happy… a little sick perhaps, but happy. Once our bodies were fatigued and we were nearly in chocolate-induced comas, we returned to the resort. Actually, most of us returned to the resort. There was an outlet mall across the street from the resort, so I ended up there. I decided it was time to begin my quest to find a swimming suit. Seriously, this is one of the tasks I despise. There is no such thing as enjoying swimsuit shopping. The most I can ever hope for is to return home without feeling like an elephant squeezed into a rubber band and with some shred of my self-esteem intact. Surprisingly, I actually felt…ok after shopping. I found a suit and didn’t feel like a pachyderm. I think the key is to shop for a swimming suit while you’re pregnant. It’s easy to feel good in a swimsuit when you know you’re the skinniest you’ll be for the next several months. Upon my return to the resort, I again found the kids in the pool. I swear they have gills hidden somewhere in their bodies. 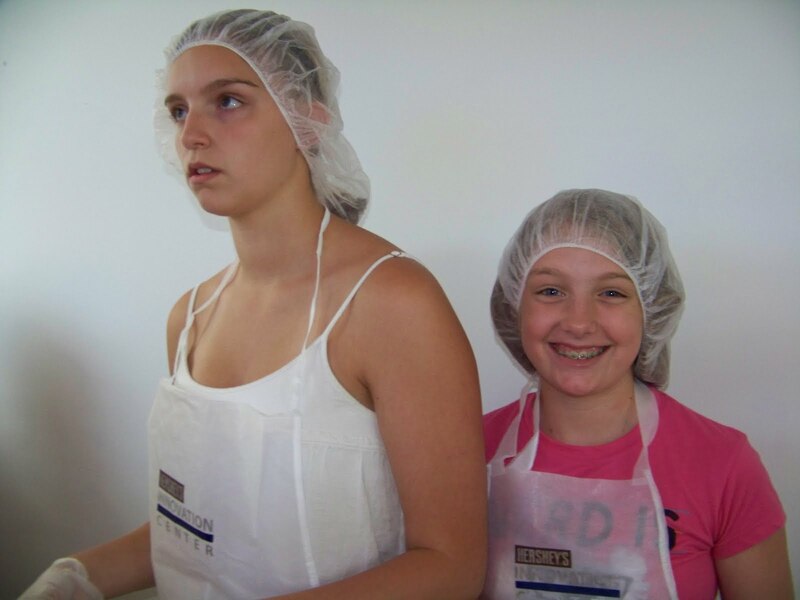 Especially Brooke and Van. They would spent all day in a pool if we’d let them. Unfortunately, they had to get out, get cleaned up, and get to bed. They were in for another full day Wednesday. Unfortunately,in true Griswold style, we had a mishap on the way up to our room. Van loves elevators. He loves pushing the buttons, which is pretty harmless. For some reason tonight he decided to put his hand on the door as it opened. Jim and I were discussing plans for tomorrow, so I didn’t see it until it was too late. Van’s hand got pinned between the door and the elevator entry wall. It was stuck! Jim and I freaked out, Van started crying, and pandemonium ensued for about 20 seconds. As I held Van’s arm with one hand, I frantically pushed the “door close” button and alarm buttons with the other. Jim was pulling on the door trying to get it to close. Finally the door closed and the hand was released. Once he was free, Van calmed down. We iced his hand, he got some magical, healing Mommy kisses on it, and he looked up and told me, “That’s better.” I felt so relieved. I knew he’d end up with a bad bruise, but at least it was not worse. You can be sure I won’t let him anywhere near an elevator door in the future! As I fell asleep, I had visions of mangled little hands. I said a prayer of thanks that Van wasn’t badly hurt. I know we are so lucky and blessed to be a healthy, happy family and have the opportunity to make memories like the ones we are making on this trip.